This page includes Free Violin Scores to several easy and well known pieces. It includes violin music for beginners. The violin scores in the book are well known classical themes from famous composers, popular folk tunes from several countries and pieces by the author. Pizzicato playing is using your fingers to pluck the strings, instead of using a bow. The word pizz. tells you to play pizzicato when it appears above the note. You play pizzicato all the time until the word arco appears. 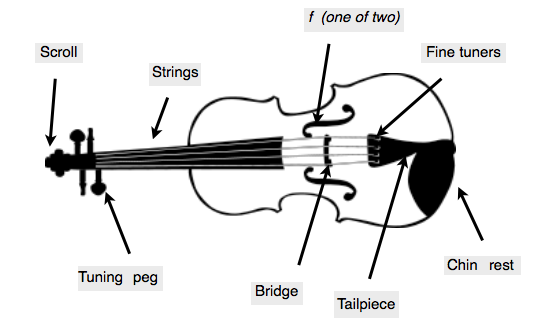 How should you hold the violin? Let’s play with the Bow! We start with a small introduction to the violin. The student will learn where the notes are on the violin and how they are written in the treble clef. The pieces in the book are famous classical pieces, popular music from several countries and pieces by the author. The pieces are introduced by a diagram of the position on the violin fingerboard, with the notes that are played in the piece. 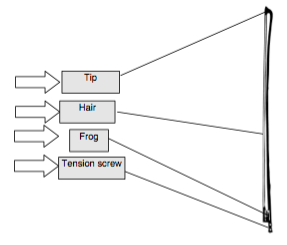 The diagram also shows the number of the finger that plays the song. The mp3 files with the songs in the book can be downloaded as well. In this level, you will start by learning to read music in the treble clef and start playing on the open strings. You will have duets si you can play with a friend or a teacher. Then you will start playing music in the First position in D major, G major, C major and F Major.